The lock screen is typically one of the most boring aspects of any OS. Windows 8.1 introduces an exciting feature which enables users to create lock screen slideshows, and we’ll guide you through creating your first one. 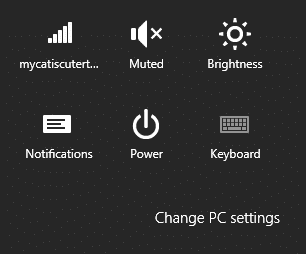 Windows 8.1 brought some new customization options to the Start screen, completely revamped the PC settings and even added a low key Start Button. Microsoft was looking for ways to let users customize options even further, and that’s where the lock screen slideshow comes into play. The lock screen slideshow lets you create a slideshow that’ll play before you login to your computer after waking up or just turning it on. 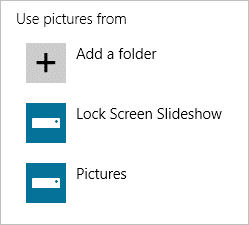 Before creating a lock screen slideshow in Windows 8.1, we recommend creating a folder for the slideshow in your Pictures library. You’ll want to add five to seven pictures to start. The higher the quality, the better they will look. Of course, you can always use more pictures than that, but when we tinkered with the slideshow, we found five to seven to be the best starting point. Keep in mind that there is no way to customize the look of pictures. At the moment, using landscape as opposed to portrait-based pictures looks better visually in the lock screen slideshow. Depending on the screen size, picture resolution, and more such factors, you may or may not get the best visual slideshow in Windows 8.1. Now, use the “Windows Key + C” to open your Charms Bar. Scroll down and you’ll see the Slide show settings. Click the slider to “Yes” to turn on the lock screen slideshow and enable its settings. Now, you can further customize the slideshow. The first setting relates to whether or not you want to run the slideshow when on battery power. 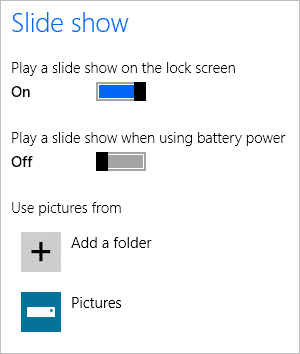 If your computer isn’t utilizing a power plan, you may want to keep this feature off as the lock screen slideshow will use more battery. You’ll find the folder you created in your Pictures library. Click on it. 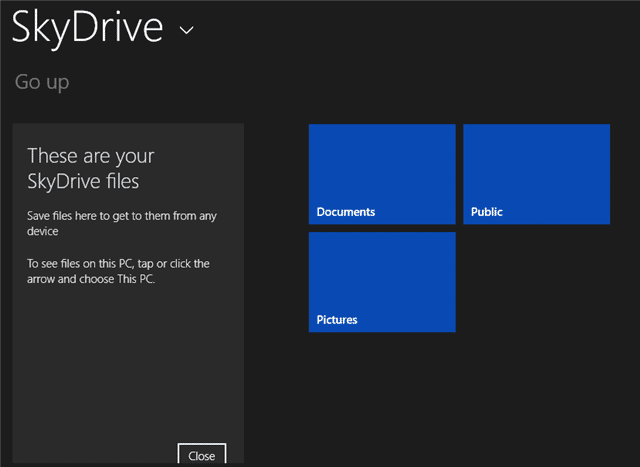 You can also add pictures from SkyDrive, but they must be saved locally through SkyDrive on your PC. Check out our troubleshooting on the lock screen slideshow to see the latest on how Microsoft is handling the situation. Then click “Choose this folder” to add it to your lock screen slideshow. Windows will add the folder we selected above to the bottom left-hand corner of the window, then click “OK” to confirm its inclusion. You’ll now see the folder included in the lock screen slideshow. 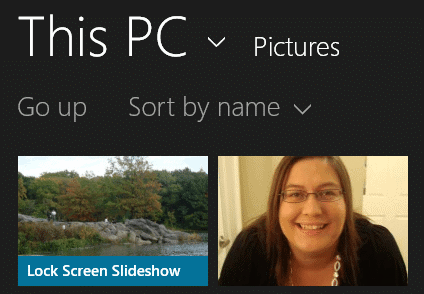 Now that you’ve chosen your folders, you can choose whether Windows randomly pics the order of uses the order of the photos in the slideshow folder. Move the slider to make your choice. You can choose how quickly the lock screen slideshow starts, as well as whether or not it should stop playing after a certain amount of time. This will all depend on the amount of pictures you’ve included, how long you step away from your computer and whether or not your PC is hooked up to a power supply or not. 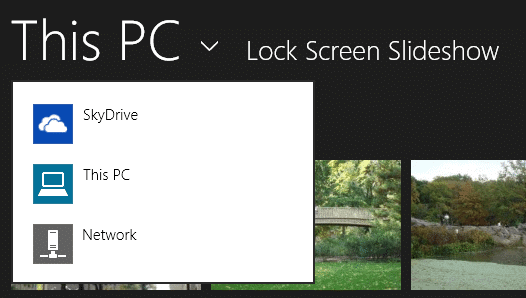 Now, the next time you log off your PC, your lock screen slideshow will begin as you set it up. At the moment, there is no further customization available for the lock screen slideshow. You can’t change the size of the pictures or change the rotation if necessary. Users have reported that they’ve seen higher than normal CPU usage when using the lock screen slideshow. Microsoft has yet to confirm the issue, but we’ll keep an eye on it for when they do. 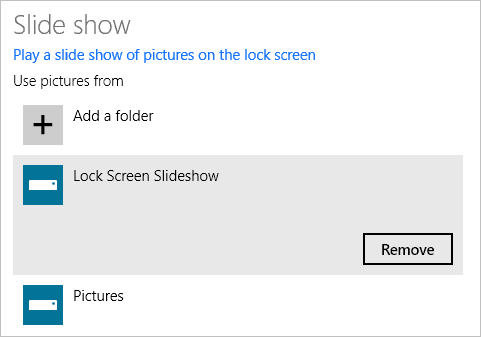 If you notice your PC hardware acting up when using the lock screen slideshow, we strongly recommend disabling the feature until Microsoft addresses the issue. If you’re using a SkyDrive synced folder, but those pictures within it are not saved locally on your PC, but only in the cloud, they will not show up in the lock screen slideshow as confirmed by Microsoft. Hopefully, by the time Microsoft releases the final version of Windows 8.1, the photos from the SkyDrive would be used directly, without the need of downloading them. If your lock screen slideshow continues to play after you disable the feature, you may need to tinker your Screen Saver settings. 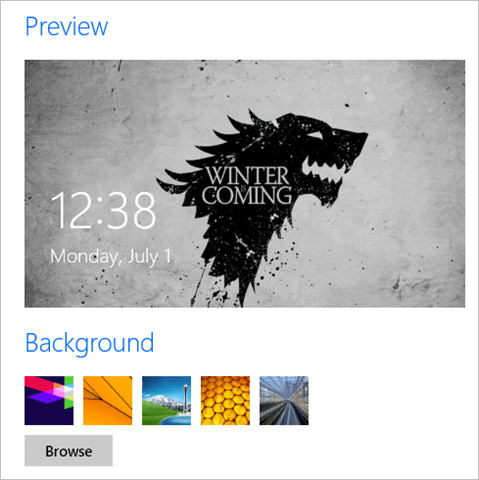 It’s possible that the lock screen slideshow modified your screensaver according to Microsoft. If you don’t have the option to create a lock screen slideshow, it’s possible your video drivers need to be updated to enable the feature. Check out whether or not you’re using outdated drivers, make the update and see if the lock screen slideshow works for your PC. 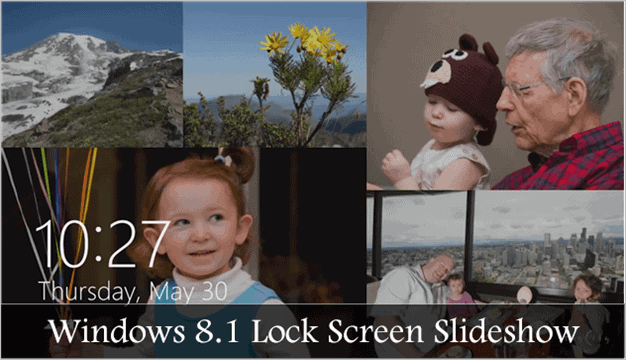 The lock screen slideshow is a welcomed addition to Windows 8.1. As most other operating systems and mobile devices offer it as a built-in feature, Windows can now boast that they do, too. It’s easy to set up a lock screen slideshow, let us know if you find this feature useful in the comments below. Would you use this as an alternative to the screensaver? Please Note: Windows 8.1 is still in its experimental phase. It’s going to have bugs and kinks in it just like any good software readying itself for the final release. Let us know of any issues with the lock screen slideshow so we can figure them out together. Previous articleOver a Month Later, Does Google Hangouts Live up to the Expectations of Unified Messaging?